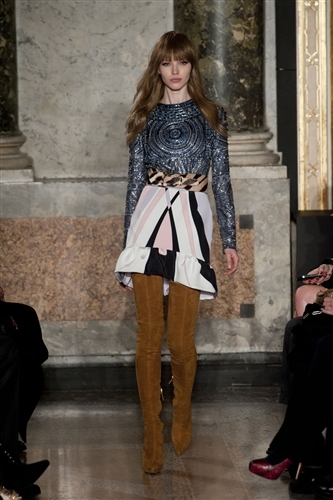 Pucci delivered a contemporary take on psycadelia this season with a colourful, youthful collection. 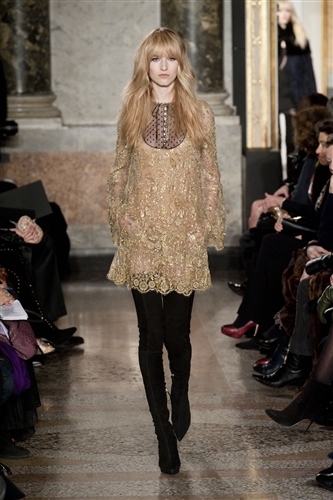 Peter Dundas showed us his idea of the perfect woman, the models emerged with long flowing hair looking almost identical, their natural look combined perfectly with the 70s revival on the catwalk. 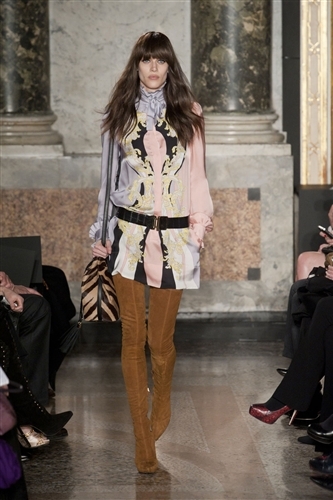 The collection summed up Pucci perfectly and relived the houses 1970s heyday. 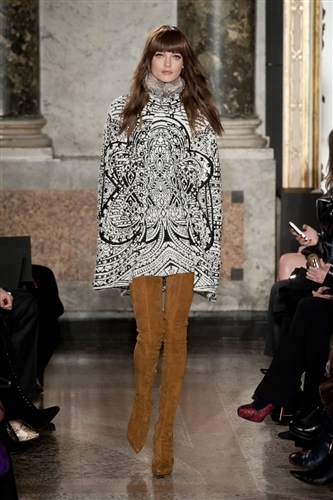 The combination of a distinctly 70s aesthetic and a modern glamour resulted in a careful and luxuriorious collection. The designs were left to do all the talking, with minimal accessories and styling, save for the presence of striking, thigh high boots which served to lead the eye up toward the models look.